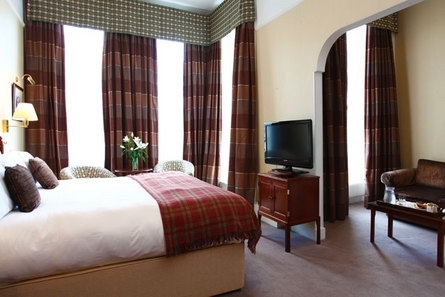 The BEST WESTERN PLUS Bruntsfield Hotel is ideally located for anyone visiting Edinburgh. 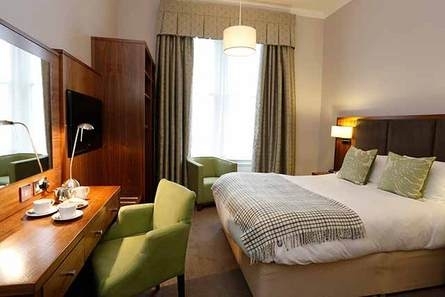 The hotel is a stylish townhouse with 67 guestrooms and overlooks one of the Scottish capital’s parks. 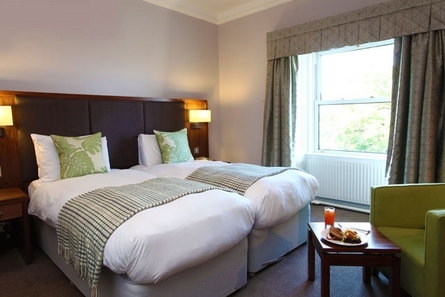 Adding to the Bruntfield’s charm is the classic architecture, along with contemporary features to ensure guests enjoy a wonderful stay. 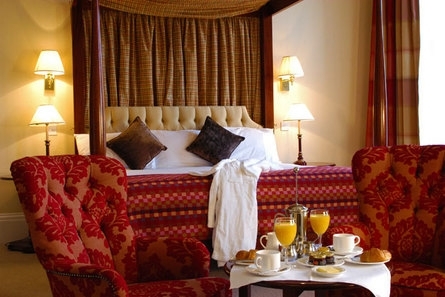 Each of the rooms has its own spark of individuality through the design and offers excellent comfort. 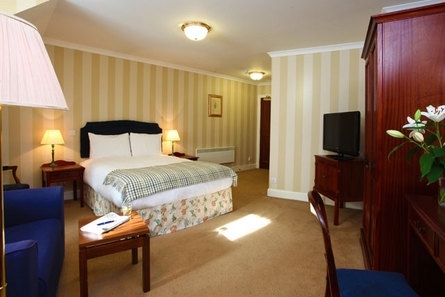 They all feature luxurious beds with pocket sprung mattresses and 32in flat panel TVs with wide choice of channels. 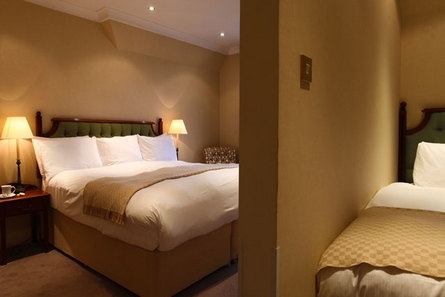 The guestrooms also offer free Wi-Fi and lit desk area as well as a laptop safe. 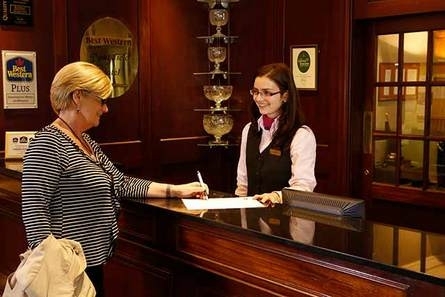 Doors are electronically locked to ensure safety and security during your stay. 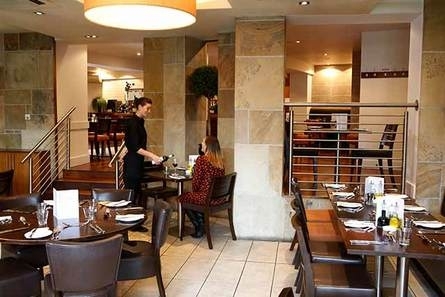 The Bruntsfield is also able to offer fine dining thanks to the Bisque Brasserie. Hidden under the hotel the brasserie serves locally sourced foods. Food is also available in the hotel bar and the garden terrace is a wonderful place to eat drink or relax, especially when the weather is warmer. Breakfast are served 9am to 5pm and dinner 12 noon to 7pm. A children’s menu is available throughout the day and there is also an all-day dining menu from 12pm to 7pm. 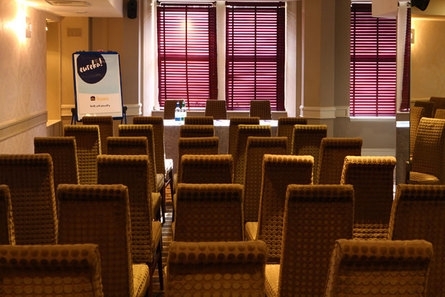 The hotel also offers excellent meeting and conference facilities. Up to 80 delegates can meet in the Cardoon Suite which boasts in own dedicated entrance as well as bar and toilet facilities. 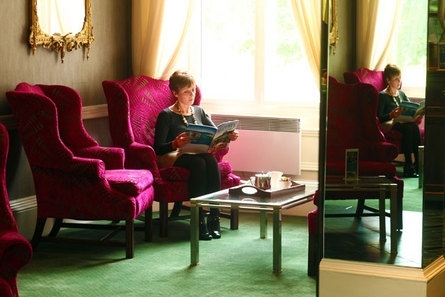 Smaller gatherings can be held in the Blythswood Room which can hold up to 12. 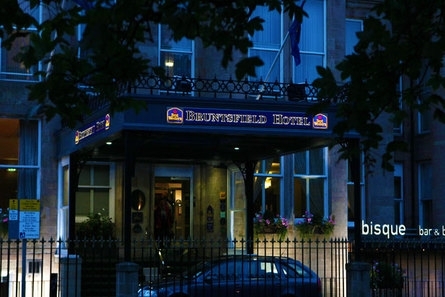 The meeting rooms in the Bruntsfield also have free Wi-Fi. 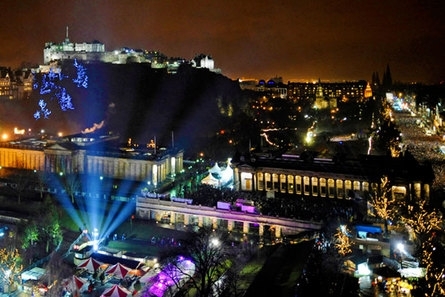 Anyone visiting Edinburgh will want to visit the famous sites in the city. 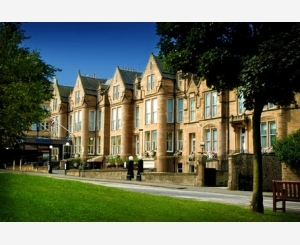 The Bruntsfield Hotel is enticingly close to these Scottish gems. It is just a mile to Edinburgh Castle, while the Scottish National Gallery and the Palace of Holyrood House is only 1.5 miles away.